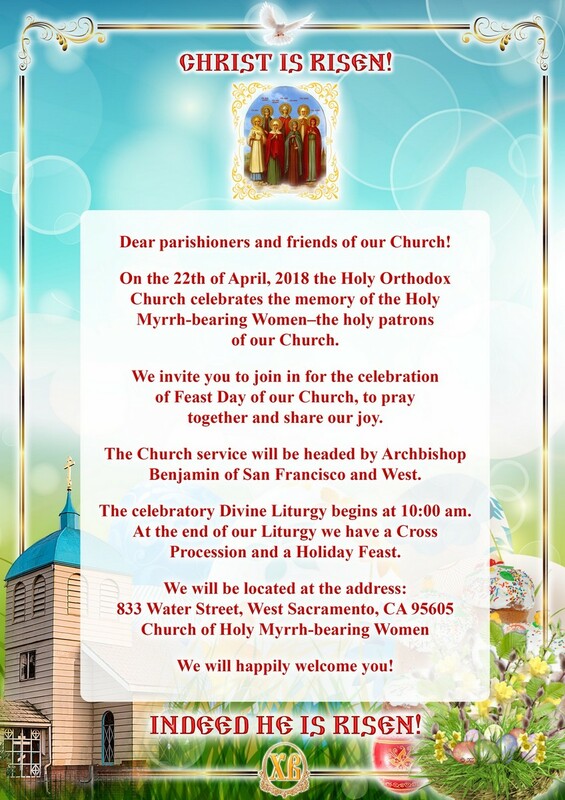 celebrates the memory of the Holy Myrrh-bearing Women – the holy patrons of our Church. to pray together and share our joy. The Church service will be headed by Archbishop Benjamin of San Francisco and West. The celebratory Divine Liturgy begins at 10:00 am. At the end of our Liturgy we have a Cross Procession and a Holiday Feast. 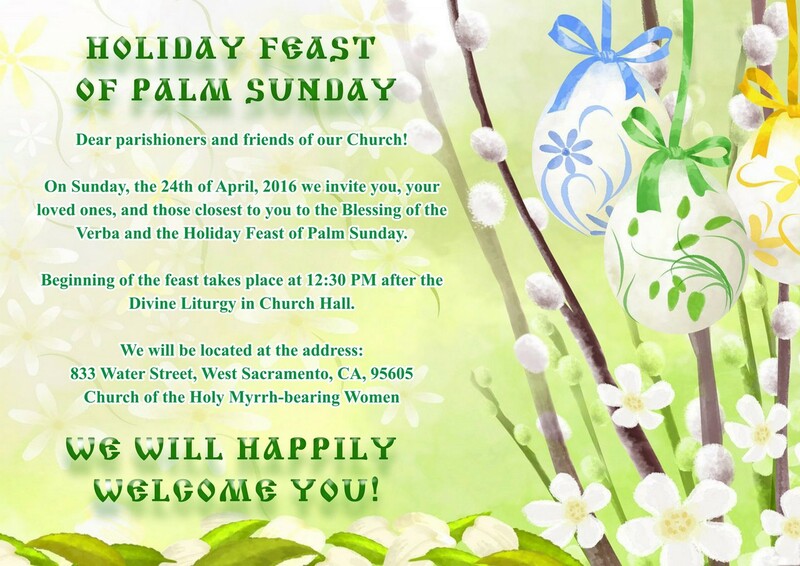 to the Blessing of the Verba and the Holiday Feast of Palm Sunday. Beginning of the feast takes place at 12:30 PM after the Divine Liturgy in Church Hall.